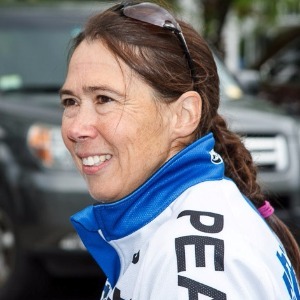 Over 25 years training and competing in endurance events including USA Cycling NCR (National Calendar Race) events, Ironman and USAT Amateur National and ITU Amateur World Championships. Over 15 years of coaching experience, over 10 years with Hunter Allen and the Peaks Coaching Group. My philosophy is based on my experiences in life, racing, and coaching. I believe in a holistic approach, where sport is balanced with family, work, and relaxation. It’s very important to know what your priorities are and structure your training/racing around those priorities. Every athlete is unique and deserves a training program that starts at his/her current ability and evolves as fitness improves. I believe the best way to do this is through building a strong athlete-coach relationship based on mutual trust and good communication. I work best with athletes who are willing to meticulously log and/or download their workouts. I love it when I know exactly what my athletes do (or don’t do) for every workout; this enables me to really dial into what they need in order to succeed at whatever goals they have set for themselves. The more you put into communication and relationship, the more you get out! Helping athletes get the most out of the training data that they collect via power meters, foot-pods, Running and Swimming watches, GoPro's and other devices that capture information on your training session! Success. Coach Karen Mackin has been notified of your message.